Individuals living with HIV have approximately a 50-50 chance of developing depression, which can cause adverse outcomes such as accelerated disease progression, suppressed immune function, and medication nonadherence. Many studies document the benefits of collaborative care for patients with HIV who also are diagnosed with depression. Researchers from the US Veterans Health Administration tested the theory of collaborative care for patients with HIV and depression with a team that included a clinical pharmacist in an off-site/outpatient setting. The results of their HIV Translating Initiatives for Depression into Effective Solutions study appear in the journal AIDS Care. The researchers structured a controlled effectiveness trial that randomly assigned patients to a collaborative care group, which included a psychiatrist, a depression care manager (DCM), and a clinical pharmacist who worked offsite, or to a group of patients who received standard HIV care. The depression care team employed a stepped-care model of treatment. They used the VA's electronic health record system to send recommendations to providers in the HIV clinics. The study was based on interviews conducted with 26 HIV patients and 30 clinical staff at 3 participating sites. The DCM ed HIV patients by phone; this clinician's responsibilities included routine assessments, and self-management and problem-solving counseling. Here, too, documentation in the electronic medical record was a cornerstone of care. The DCM received high satisfaction scores from patients concerning phone . Clinicians who specialized in HIV care and mental health services appreciated the DCM's notes in the electronic health record. They indicated that patient's who interacted with a DCM were well cared for. 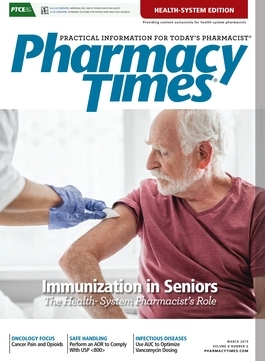 Health care providers and mental health specialists appreciated the clinical pharmacist's interventions, citing their ability to prevent and resolve drug interaction issues in particular as helpful. Although any health care clinician can look up a drug interaction, clinical pharmacists can often speak to the likelihood of that interaction occurring. The researchers recommend including a clinical pharmacist on the HIV care team, especially when HIV patients receive care offsite. The project raised awareness of the importance of screening for depression. The HIV care teams experienced difficulty screening for depression, and reported that they were aware that they needed to screen for chronic depression. They also indicated a need to screen for and address situational, short-term depression due to life circumstances. Incorporating screening into routine intake processes increased the likelihood of successfully accomplishing these goals. The researchers found this service was effective and cost-saving. Drummond KL, Painter JT, Curran GM, et al. HIV patient and provider feedback on a telehealth collaborative care for depression intervention. AIDS Care. 2016; 22:1-9.